Right smack in the middle of the busiest time of the year for the business (this time of year we sell fireworks for New Year) I have opportunity to reflect a bit on the upcoming year and what 2016 will bring of challenges and joys. Of course things will happen in the Oracle world that'll indirectly influence my year, as always. Not always possible to predict here near the start of the year, but most likely at least there'll be a release of version 12.2 of the database, with the usual fun of working with the new features of SQL and PL/SQL. More directly I'll have a new label in 2016 that I was told about just before Christmas. The great honor of being Oracle ACE has been bestowed upon me. Yep. You heard correctly, I got an awesome Christmas gift :-) I look forward to a year with more engagement in the Oracle community, more fun SQL quizzes on PL/SQL Challenge, and more opportunities to interact with fellow Oracle Database Developers, whether it be online in forums or webinars or offline at conferences and such. Oracle User Group Norway (OUGN) has their traditional top-notch floating spring conference on March 10-12th 2016. I have had 3 abstracts approved for this event, and I am thrilled both for the speaking opportunity as well as my first time attending this conference. Based on feedback from many people I know and respect, I can highly recommend you should attend and meet me on the boat. Next up in the Netherlands, Oracle Gebruikersclub Holland (OGh) hosts a combined DBA and SQL Celebration Day on June 7th 2016. I have been invited to speak in the SQL Celebration tracks along with a distinguished set of speakers. I find the initiative great - SQL is definitely an important topic for developers, so a day dedicated to it is a grand idea. I am honored to be invited to speak. And that half year will end on a high note June 26-30th 2016 in Chicago as Oracle Developer Tools User Group (ODTUG) arranges the superb conference Kscope16. The Kscope conferences are always superbly organized with superb content and superb fun. I've been attending every year since 2010 and it is the superb place to meet like-minded developers and learn and network on both tech topics and fun stuff. Two of the years I've also been speaking and for 2016 I have had the good fortune of having a couple abstracts accepted too - one by myself and one copresenting with Brendan Tierney. So here at the end of 2015 I already have an almost overflowing list of good news about 2016, but today tops the list. Today I signed a contract for a new job! As of February 1st 2016, I will no longer be employed at T. Hansen Gruppen A/S. Instead I will start a brand new job as developer at Trivadis Danmark A/S - the fairly new Danish branch of the renowned Swiss company Trivadis, that so far has had activities primarily in the german speaking countries - Switzerland, Germany, Austria - but with the Denmark branch is expanding northwards. All in all I must say I am looking forward to a very exciting 2016! Lots of good news and great things to look forward to, Kim. Congrats on your Oracle ACE selection - you certainly are exactly the combination of technical excellent and community commitment highlighted in that awesome (to use one of my granddaughter Loey's favorite words) program. And on to consultancy! I hope it fits you well. 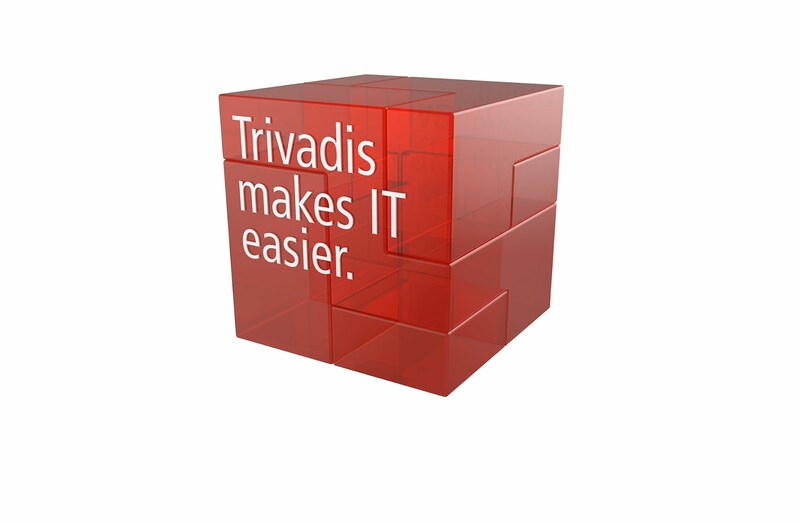 You certainly have lots of skill and experience to apply and share with Trivadis clients. They are lucky to have you. Happy New Year to you and all of your family! Good luck with the new job and all the best for the new year. It's always easy to be inspired to do your best, when there are people in the world (colleagues, peers, clients, users, whatever...) that have been helped by what you do and appreciate it.